The late Dr. Stella Brewer-Marsden OBE became involved with chimps in 1968. Stella was the pioneer of chimpanzee rehabilitation establishing, and then managing and funding until her early death in 2008, the chimp rehab project in Gambia. This project is now the longest running programme of its type in Africa. The rescued chimps and their offspring - in total now more than 80 chimps - live a life very closely approximating that of wild chimps on three islands of the River Gambia National Park. (Further information may be found on the CRT website). Eight of the villages located near the national park on the south bank have over the years, through employment opportunities, conservation education programmes, community projects and through simply being good neighbours, built up a strong relationship with Stella's various projects. The concept of the SSS came about when Stella met a bright and determined 10 year old boy who lived in Sambel Kunda about 2.5 km from the chimp camp and one of the eight nearby villages. His mother was even poorer than the average villager as she has no husband; she could not afford to send him to school. He spent his days herding cattle for other people. But he wanted to go to school and his answer to this problem was to find good grazing near the school and while his cattle fed he could run and try to attend some classes. When his herd took him nearer the chimpanzee camp he would stop and talk to the staff. He did his best to be useful around camp and borrowed any reading material he could find. At every opportunity he would tell the staff how much he wanted to go to school on a regular basis but his mother could not afford this. As a result of this youngster's persistence Stella began to take a new interest in the Sambel Kunda village government primary school. She discovered that it cost very little to send a child to primary school for a year. The boy's thirst for knowledge had made a big impression on Stella and she undertook to personally sponsor his education. She mentioned this to visitors to camp and to friends back in UK and they said they would like to help: and so the idea for the SSS took root and started to grow. There are several hundred youngsters in the neighbouring the villages who are eager to learn. 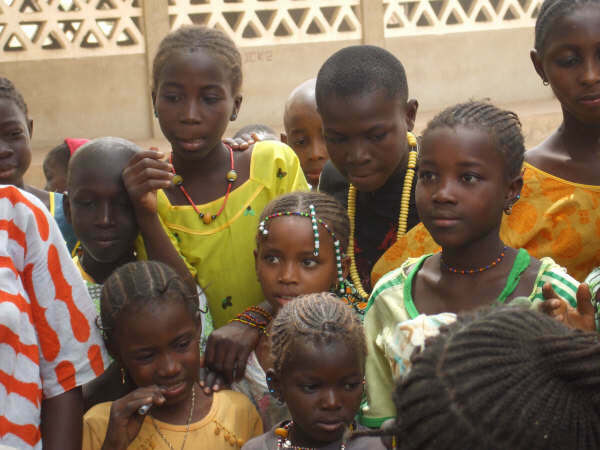 Many come from families that lack the resources to send all their children to school. Being sponsored and so able to attend school could make the difference between becoming a subsistence farmer - or one of his wives - or becoming an engineer or doctor or president, etc. 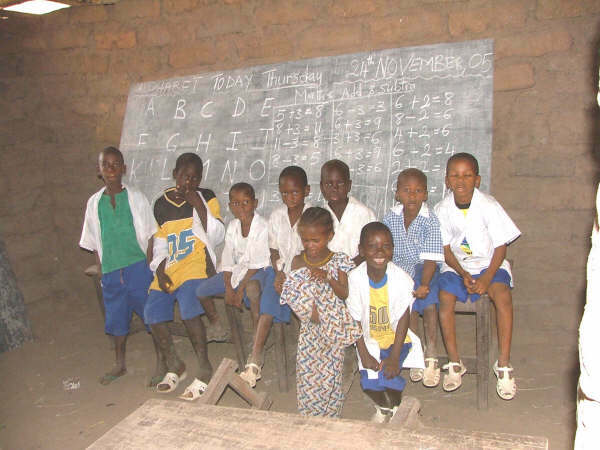 The SSS was established to generate funds and help educate the children from these villages in order to improve the chances of changing the path that their lives might take.When Stella's idea of the SSS germinated the village school, with two teachers and only 90 children, was under the threat of closure. Now thanks to so many people - not only all our sponsors and donors but many others: in particular the late Master Darboe RIP ( Head Master from 2003-2009), Mr Sawareh (Regional Director of Education) and Langbaba Ceesay ( our loyal and supportive Public Relations Officer ) - there is a team of 14 teachers & the school roll exceeds 400.